As Spring Training rapidly approaches, Oakland A’s first-round draft pick and College Football Heisman winner Kyler Murray had an important decision to make. The two-sport athlete was taking some time to decide whether he will commit to playing baseball or football. He made that decision Monday. Announcing via Twitter, Murray released a statement informing us of his decision to “fully commit” to playing football over baseball. There had been on-going speculation whether Murray will truly give up football to pursue a career in baseball. Just four weeks ago, news broke that Murray will indeed be declaring for the 2019 NFL Draft as the two-way athlete continued to decide which path he wanted to take. After Murray was selected by Oakland with the ninth overall pick, there was an agreement in place that the University of Oklahoma quarterback would play out his final season with the Sooners before committing to baseball. In Murray’s contract, there was a $4.7 million signing bonus he was eligible to receive after he signed with the A’s. Because Murray went back on his deal with Oakland, it is expected that he would be returning most (if not all of the money) he has received from the A’s. With Kyler Murray fully committing to football, its expected that the Heisman winner will be highly sought after in this year’s NFL Draft. It’s been widely speculated that Murray could be drafted in the first round, maybe even as high as first overall. 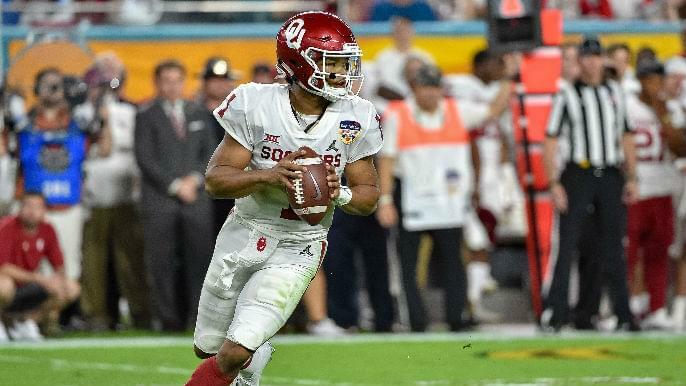 With teams like the Giants, Jaguars, and Broncos expected to draft a quarterback, it’s possible that Kyler Murray could be taken in the first round of the draft, in two different sports.